If you've been all caught up with things in the past few days, you may have seen a snippet of this video on my Youtube channel. I think with all the glorification of clean eating and healthy living pushed in our faces (magazines, t.v., bloggers even), there seems to be a narrowing of these terms and almost a competition of who can on up the other in the public's eye of being fit and healthy. Even more so, working out just seems like a bore. Am I the only one? With all that being said, the reality is, feeling at your own physical and mental best is very important and if I'm not feeling it, then I need to do something about it. Currently, it's not about the total pounds I'm trying to loose but rather trimming up a few inches in my mid-section, toning some upper body muscles and for goodness sakes, some daily stretches to ease that awkward cramp in my right hip from sitting cross legged at my computer for too long. Since food is something I have no plans to give up anytime soon, I thought I'd start off with getting some more exercise into my life. The response from that Youtube video has been excellent and I'm always so inspired by the honesty in everyone's comments. It seems that some people really enjoy fun-xercises like dancing while others preferred the efficiency of HIIT workouts. A few even suggested Yoga with Adriene which I've bookmarked for next month. 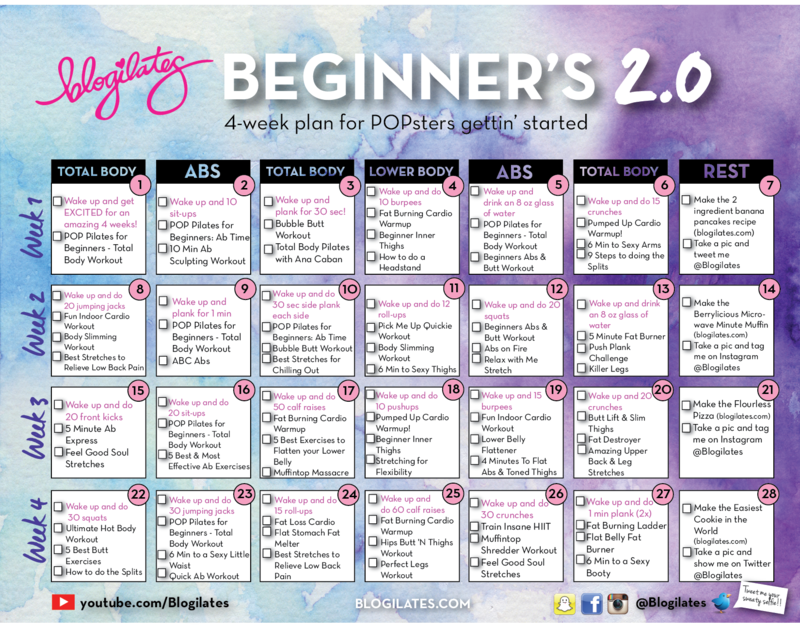 But I think as far as motivation and fitness routines go, it's a pretty safe place to start with Casey's Blogilates calendar. Tons of variety, short videos and very easy to scale to my own growth. I'm currently on Day 3 and am happy to say that it's a good gradual climb for those wanting to get back into the swing of things. In other words, I still have full functionality of all my body parts and limbs although there's a slight tinge of soreness! I'd love to hear what you do to stay active and stay sharp plus any food suggestions that are more realistic would be much appreciated too.